I have finally finished crocheting the birthday pillows for my second God-children in Switzerland. 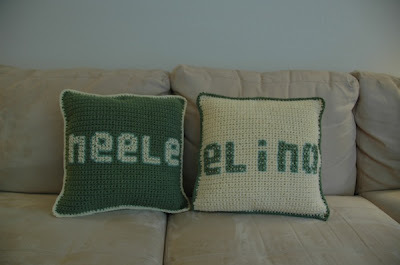 Neele and Elina will be turning one next month so I had to hurry to finish the pillows because it will take a few weeks in the mail for them to arrive. 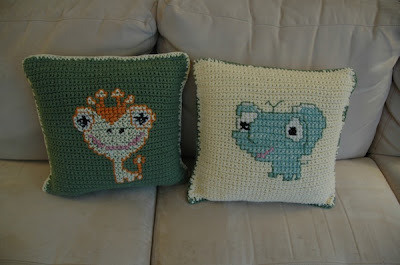 I crocheted the covers and then cross-stitched their names and animals on the front and back sides. Kind of silly looking, but hopefully the kids will like them.